2013 is around the corner… as in, 2 DAYS around the corner! Can you believe it?! This also means New Years Eve is tomorrow, which also means many of you are either hosting party or going to a party. 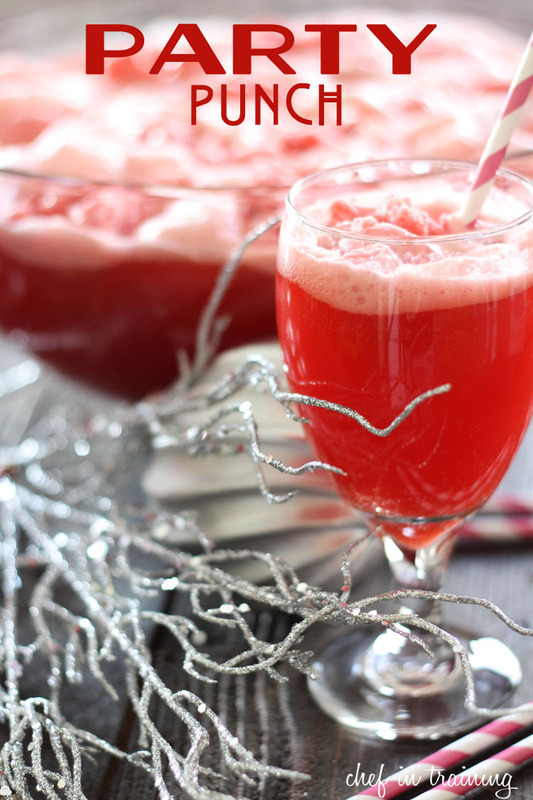 This Party Punch is a recipe that comes from my grandma. It is simple, basic and a people pleaser! This was one of the many yummy drinks that made it into the rotation for our holiday family get togethers. 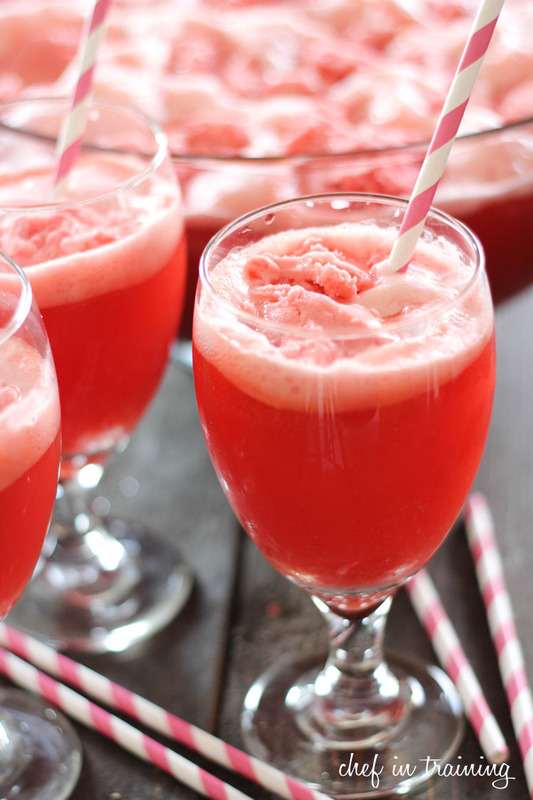 The sherbet adds such a great touch to this fruity and bubbly drink. It would make a great addition to your next party! Only 3 ingredients! It is simple, delicious and a crowd pleaser! In a large punch bowl, pour the fruit punch and 7-up. Using and ice cream scoop, scoop out balls of raspberry sherbet and place into punch bowl until none remains. This looks so yummy. I've had punch like this before but with different flavors. I'm so tempted to try this! Do you think alcohol could be added? If so, what kind do you think would be best? Just something to make it a little more grown up. Maybe something to add to the fruityness. I love your blog, btw! Love seeing your posts on FB too. I sometimes forget to check the actual blogs...so it's nice to see updates posted on FB. would be extra yummy with vodka! Can't wait to try this it sounds so yummy..love your recipes ! Making it for my next party . This looks delicious and so easy! Can't wait to try it! Thanks for the recipe! We'll try it for New Years!! Made this at Halloween with Pineapple juice, 7up and Lime Sherbet! Love the choices of color! We make this for parties also, but we also use 1 part pineapple juice also. It's yummy!!! Hum, wonder how it would be with some vodka . I love punch recipes! I've never tried this one before...can't wait to try it out! Happy New Year to you! Thanks for sharing! I cannot be in the same room as punch. I have zero willpower! Happy New Year. Nikki! I would also like to know how many servings this makes. Planning to make it and want to make sure I have enough!! I use diet orange soda and the Light Hawaiian Punch. My dad is diabetic and he can drink the punch too now that I made the switch. This is one of my families favorite, we do it with Rainbow sherbert instead, really good, everyone loves it and always asks for it. We put some pineapple juice in it its really good when that's added. What can use instead of fruit punch? What kind of fruit punch actually? May I know what brand of fruit put you used for this. Thanks.